Red Unicorns is a Warships clan part of Red Unicorns gaming community. We are looking for active players to fill up few empty spaces in our ranks. 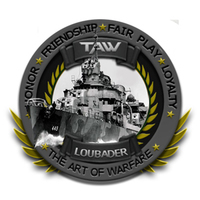 Since we are working towards Clan Wars we are looking for a few new Active Fleet commanders and officers to join us. Any active player looking for steady groups for Division play and operations or a good crowd to play with is welcome to join us. We also welcome all who are completely new to the game, who are just looking for a place to call home and someone to show them around in-game. This is a Multi-National Community and welcome everyone. Besides World of Warships we play many other games together as well: Some few examples consist of: World of tanks, PUBG, ARK, 7DtoD, etc. If you wanna chat before you join hop on the discord and someone will be there.